As some of you will already know I have done both puree and baby led weaning with my four. Whether you’re adopting the baby led weaning style of weaning from 6/7 months or puree style weaning, this finger food list will come in handy for when you and your little ones are ready to start straight away or progress to finger foods. I always find it helpful to have recipe and finger food ideas all in one place, and so I thought it would be helpful to share my tips as a weaning mum of 4! 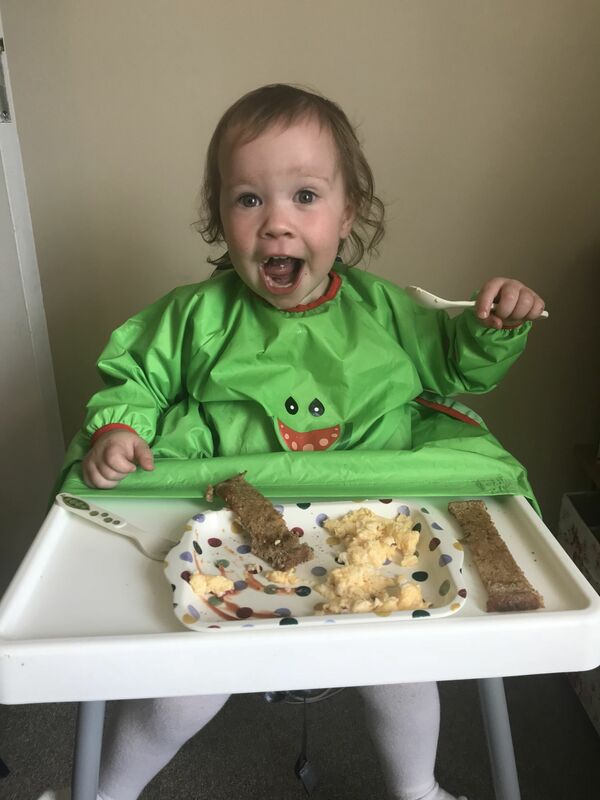 Finger foods are that exciting stage of being able to share some of your own food with your child and feel like you’re socialising with them at the table and out and about in restaurants. It’s so much easier to be able to share foods that the whole family can eat as well. First off it’s messy, don’t be afraid of mess as there are great ways to keep your little one and your house clean. 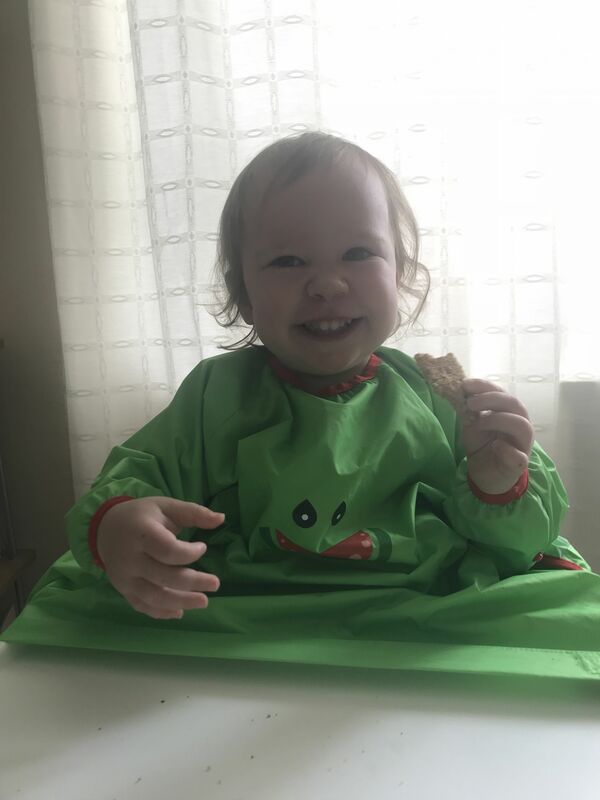 My top tip is invest in good bibs and get an old sheet or wipe down cloth for under the highchair just in case they manage to still sneak a few morsels past their mouths and bib! 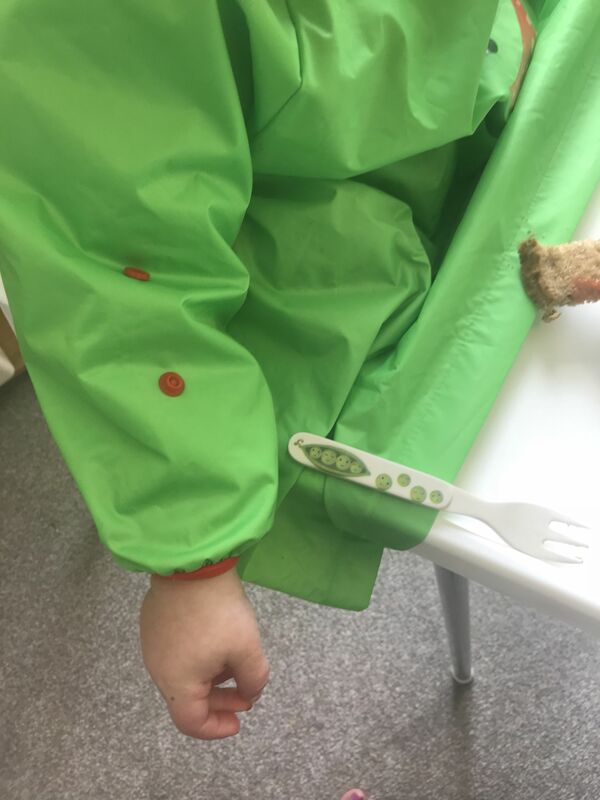 The BIBaDO bib is really going to limit the mess on your child and the mess that gets on the floor due to its unique design, as it actually covers the gap between your baby and feeding surface. It’s designed to fit all sizes from 6 months into toddler stage. with its adjustable sleeves and neckline. 1- Banana – half a banana is a perfect size for little ones to hold. 3- Soft fruit strips such as Melon, pear and Mango etc..
4 -Steamed Vegetables and potato strips- carrot, sweet potato, whole broccoli and cauliflower florets all perfect for little hands to pick up. 5-Banana and Egg pancakes – These make a perfect breakfast addition -just whisk up an egg and add in a mashed banana and fry with some butter – a couple of mini pancakes I also serve with greek yoghurt for dipping. 6-Cooked Pasta – Cooked fusili or penne is easier for babies to grab. 8- Toasted soldiers, Breadsticks and warm pitta strips – you could also let them dip into hummus or cream cheese. 9-Smoothie lollies- Whizzed up fruits then poured into a baby ice lolly mould. We used the baby moulds that have grip handles designed for little hands. 10- Dried cereal such as cheerios, cornflakes and shreddies – also soaking them in a little milk is fun for them to try. I hope that you found these ideas useful for weaning your little ones. I was sent this (BibaDo) product in exchange for a review, as always this review is open and honest and is all my own words and opinions.